Becoming a mom of two has been one of the hardest and more rewarding things I have ever done. I didn’t realize just how much time a second child would take up, but I am loving every second of it. One thing that I am having trouble finding time for is weight loss. I would love to get the baby weight off as soon as possible, but I don’t have tons of extras hours in the day to hit the gym. These are the steps I followed with my first baby and they worked great, I am excited to follow them again and get back to myself. Exercise with your kids- I am in awe of people who go to the gym every day. I struggle to find the time but I mostly struggle to find someone to watch my kids. For me, the best way to get my exercise in, is to include my kids. Take your kids to the park and don’t sit on a bench, run and play with them. Take your kids swimming and get in the pool with them. Go on a nature walk and push the little ones in the stroller. Be active and spend time with your kids at the same time. Deal with your stress in healthy ways. When the kids are screaming and the laundry isn’t done, we are all tempted to reach for a chocolate bar, but eating your feelings doesn’t help your long term goals. Go for a run, read a chapter in a book, take a bath, or take a five minute break in the other side of the house. Do whatever you have to do to keep yourself from grabbing a carton of ice cream and the spoon. Eat a treat when you actually want the treat, not a way to cope. Don’t drink your calories. Beverages can contain a ton of calories and they don’t do anything to fill you up. Drinking water has amazing health benefits and none of the draw backs of calorie heavy drinks. 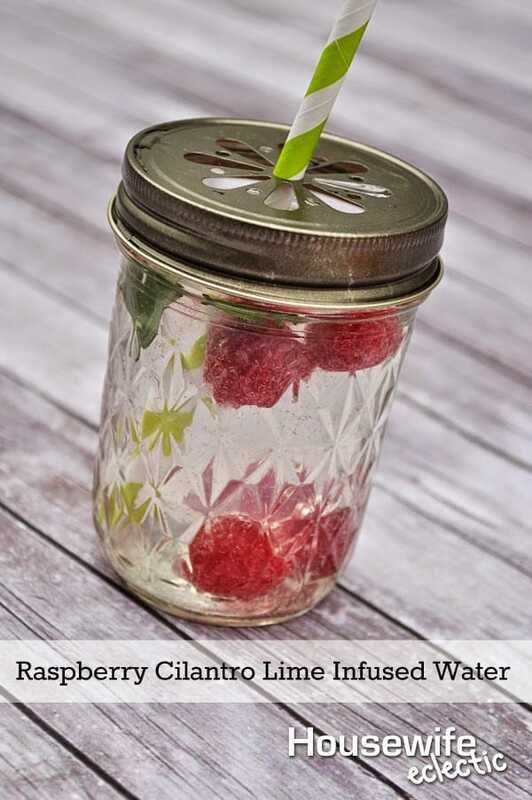 Add cucumbers, raspberries or lemons to your water to give it a little flavor without making it full of calories. Infused water is super easy to make and is an easy way to help you achieve your water goals throughout the day. To make, simply slice the fruit, add to a pitcher and fill with water. Refrigerate the water overnight to give the fruit a chance to infuse the water. To make Raspberry Cilantro Lime infused water, squeeze two limes into a 2 liter pitcher of water, add a large handful of raspberries and about a tablespoon of chopped cilantro. After you drink all of the water, simply add more water, lime juice and refrigerate again. Replace the fruit after 3-5 days of use. 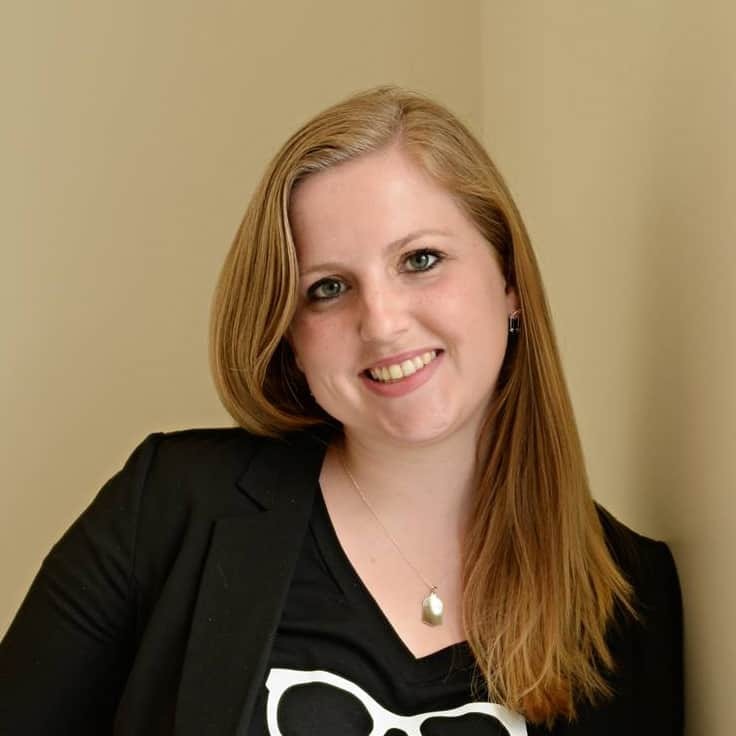 Plan Ahead- With little ones, it is so easy to go through a drive-thru the second someone in the back seat starts complaining they are hungry while we are running errands. I tell myself that one cheeseburger won’t hurt and cheeseburgers need fries. Before I know it my calorie intake is way too high. It only takes a few seconds to throw a Slimfast bar in my bag before we leave and then I have a great protein rich option to replace the drive-thru, that doesn’t kill my calories for the day. Journal everything. Write down all of the things you eat. You will be surprised at the things you are putting in your mouth without even realizing it. Write down your water intake so you can be sure to keep it high. Journaling keeps you accountable to yourself. If it is easier for you, journal on your phone. Remove the temptation. 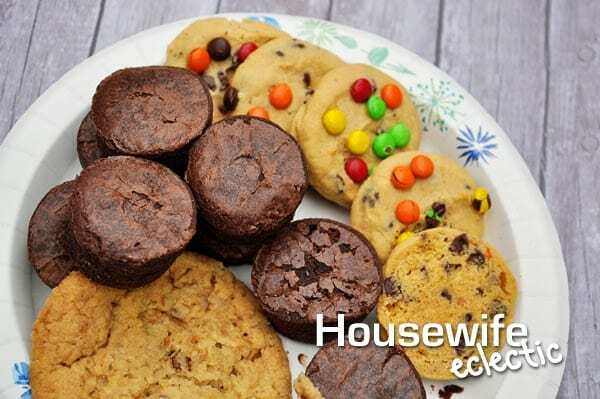 It is hard to eat an entire package of cookies after lunch if you don’t have cookies Laying around the house. If the things laying around your house are healthier choices, you will automatically eat healthier. 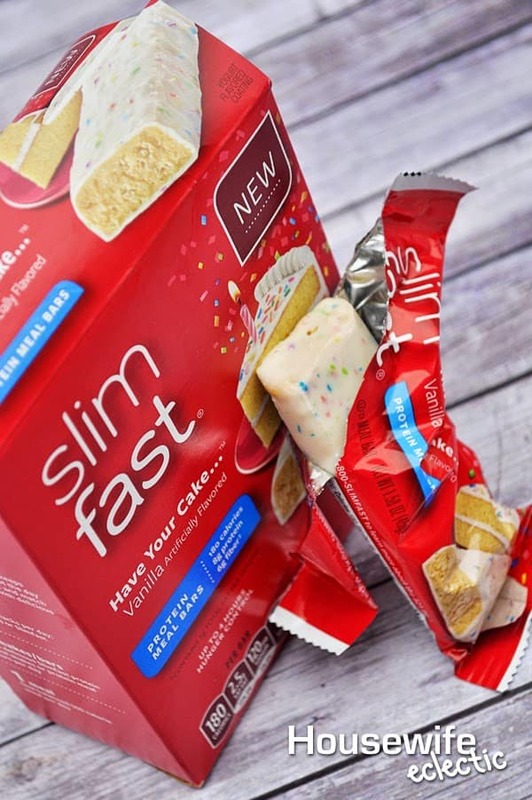 Slimfast has created some fantastic meal replacement protein bars including the new Have Your Cake…. bar. Usually, I am not a protein bar fan, I have tried protein bar after protein bar looking for something that would be convenient AND delicious and I have to say I love these cake bars. I actually have to hide them from my 5-year-old because she thinks they are candy bars and will eat one no problem. With the Slimfast 14-Day Slimdown, you replace two meals a day with either a protein meal replacment bar or a shake combined with one 500 calorie meal of your own and three 100-calorie snacks during the day and you can lose up to 6 pounds in two weeks. The Slimfast 14-Day Slimdown is perfect for busy moms and anybody else trying to lose a few extra pounds. It doesn’t take a lot of prep work and it is easy to stick to on the go. Almost everyone I know has a little black dress that they love or are trying to fit into, my goal dress is a gorgeous blue and I have it hanging by my closet as my motivation too keep going even when it is hard, especially in the mornings. 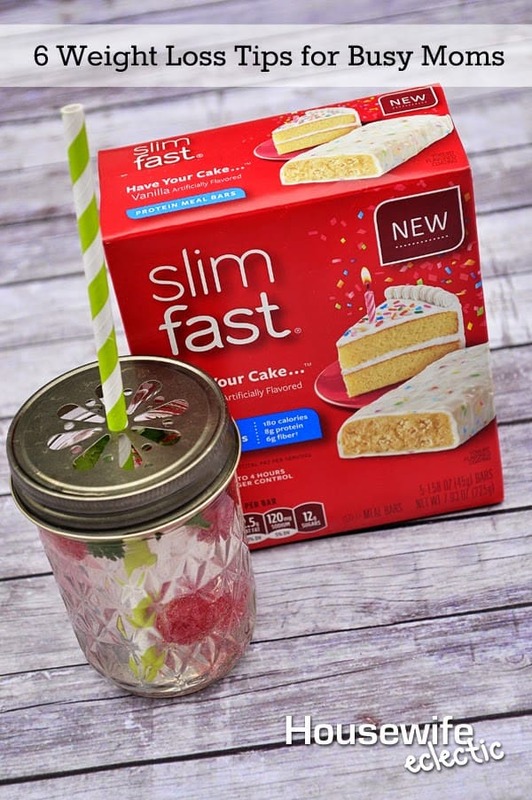 The Slimfast Have Your Cake…. bars are perfect for me in the morning, where it seems like I don’t sit down to breakfast until almost lunch time because our mornings are so crazy. I get an easy, delicious breakfast that is packed with protein and can keep me going until lunch time. Check out Slimfast on Pinterest and Facebook for more times on how to incorporate the Slimfast 14-Day Slimdown in your life. SLimfast sure has come a long way over the years. I think your tips are great, too! I know I still need to lose the weight after having 5 babies. I'm trying to eat healthy and actually find some time for exercising! These are great tips. I like drinking infused waters. It seems to really help me stay hydrated. Great tips! Had no idea Slim fast made all that stuff! Wonderful tips! Removing temptation is the one I am working on now. It is hard when my hubby wants these things and I can't have them around! Great tips! I didn't realize that all those products were manufactured by Slim fast. I was thinking of doing this since i am on a 60 day challenge i imposed on myself. i want to lose 10 lbs by then. I agree especially with the last tip. It really helps me to remove anything that might be a temptation. Great tips! I am not someone who struggles with weight but even I need to curb the emotional eating habit. Also I'm very interested in the cilantro raspberry water. Wouldnt' think to combine those ingredients. Such great tips. I love SlimFast. It really helps me to shed some pounds for summer. 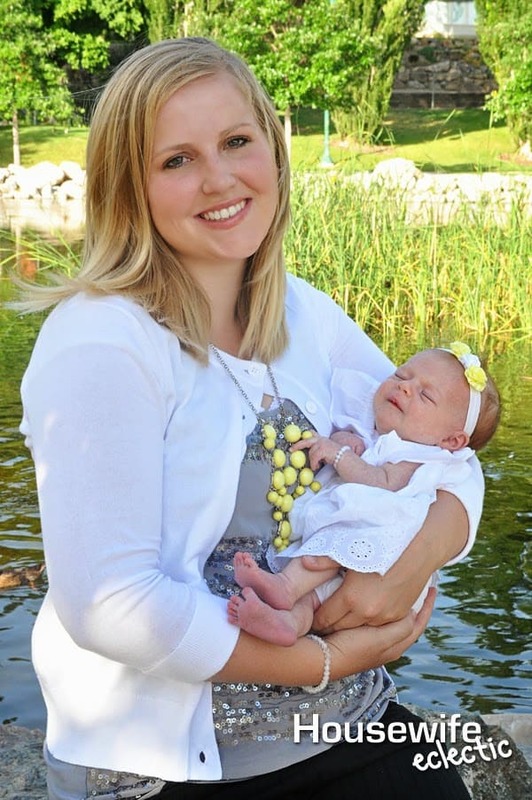 slimfast definitely helps… My sister used it, to get help for post partum weight. And your daughter looks like an angel, she is so so so pretty. God Bless her!! I should try these! I'm definitely an emotional/bored eater and when you're popping "healthy" things like trail mix and crackers/hummus… those calories add up quickly! And I am a big fan of cilantro but I would have never thought to infuse water with it. Sounds perfect! I feel a bit disappointed about this post which would have been a genuine and supportive post except for the advertising. I know you declared it right from the start but it still feels manipulative as several of the commentors, especially those making positive statements and including the name of the product in their comments, are in fact part of the on-line advertising network. Again, too subtle and reeks of manipulative statements. I hate to see good blogs and really well meaning people go down such a commercial path. I know you are a woman of faith and you probably gave it consideration and prayed some and for you it was the right decision. I'm just saying people should be aware of the way advertisers will try to get through friendly folk like yourself and I feel disappointed. I do enjoy Slimfast's products. They do taste good. great tips! i would definitely try the slimfast stuff! and your baby is too cute! Great tips! I definitely need to start incorporating more exercise with my kids. That water sounds really delicious! I've never thought of infusing with cilantro, but that sounds absolutely wonderful! I have always like the taste of Slim Fast! The chocolate shakes and bars. Thanks for keeping me up-to-date! The flavor sounds amazing! I would so try it!